That Cambridge diversion was particularly inadvisable, as I was off to “Bootiful Bootle” the next day (yours for a quid, that one). There’d been a particularly unsavoury joke about Bootle accommodation doing the rounds over the weekend, but let me be the living proof that you can survive, and indeed enjoy, this great Lancashire (never Merseyside) dockland town. 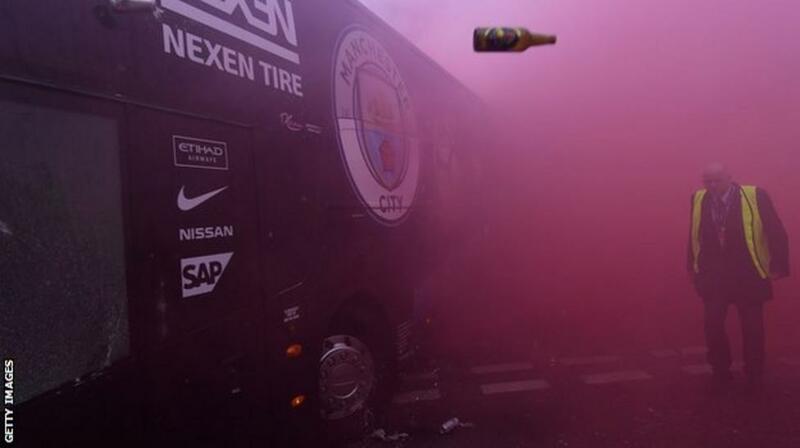 In fact, I became the first City fan to enter Liverpool without being bottled since 1977. Left at 6.30am (just like BRAPA), stop for Greggs at Spaldwick, parked in Seaforth at 10.02am. It can take that long to get from Cambridge to Cromer. Let the record show this is the second time I’ve stayed in Bootle recently, again using the ever-reliable Trivelles chain that sticks to the tourist honeypots (Stockport, Salford, Eccles, Bootle, Bradford). £25 for this one, the best £25 I’ll spend all February (unless you know better). The tiny Trivelles car park had bits of broken bottle on the floor (probably Dark Fruits, it always is), and I seriously considered chancing street parking. A young chap with a Russian accent sat with a teacup filled with vodka pointing at the back of my Aygo. “You KILL someone. Ha ha ! !” etc. etc. Ah, the body in the boot. Giveaway. I figured this guy (from Vladivostock, he said, visiting Blackburn Cathedral twice) was too drunk to break into my decrepit motor and nick my Rickie Lee Jones CDs. He didn’t believe I was about to walk the seven kilometres into Liverpool. “It is closed, no ?“. I think he thought the city closed when neither Liverpool or Everton were at home. I assured him the pubs would be open. Mrs RM has just bought herself a new phone, bequeathing me her old Huawei, so a welcome to my new Chinese reader who I’m sure will appreciate these stunning views of dereliction and opportunity along Stanley Road. Actually, it is a wonderfully evocative walk, and of course it may change rapidly if Everton FC do move out here from Goodison Park. I’m not sure I passed an open shop for two miles, let alone an open pub, but I felt quite safe (“You’ll get yourself killed” shouts Mrs RM, who knows the exclusions on the Life Assurance policy). Finally I arrived at central Bootle and a string of pubs boot(l)ed out of the Beer Guide recently, and had a well-deserved rest. Nice Threlfall’s mural on the end wall there. My grandmother grew up in one of their pubs in Wigan, and met my grandfather while working as a barmaid in another in Stretford. For that rate did you get the tower room? Sadly not. Serious about value though. Clean, well equipped rooms, good WiFi. A fine read, Martin. How did you get the Flying Bottle shot? Or was there a constant hail of them? I paid a Scouser a fiver to stage it. Ah – I trust that you kept the presence of your car a secret? After a street view, I feel a little better about it, but I am still with Mrs. RM. As long as you answer, we know you are well. And here’s where you stayed looking more like a proper pub, the ‘Mad Mondays’ offering evidently not making it viable. Top research, Paul. Makes me feel a lot safer. I wouldn’t go to Bootle on Boxing Day. You can’t be too careful nowadays. When it was a pub the Stockwell Mount was filled with a wonderful collection of bric-a-brac, from Darth Vader costume to a tram control desk. I take it that’s all gone? All gone. Phil 😥. I guess Trivelles turned it into a hotel 3 years ago, guess it was standing empty before then? I think so. I last drank in there in 2004. Superb photos especially the title pic. You were talking about potential sponsors recently – surely Travails would be perfect for you – budget prices in ‘unfashionable’ places. Am approaching their Head of Corporate Communications (Bootle division) on your behalf. Hey, don’t knock Travails, they’re a tickers friend. Always near a train or metro line and a Chinese takeaway, too, and virtually Premier Inn standard cleanliness. You have persuaded me to try them (though maybe not the Bootle one). There’s a new one in outer Sale I’d try but no new Guise pubs this year. Well, you’ve certainly educated me on what the popular image of Bootle is! Your line about going two miles without seeing a single open shop made me think you were walking through a bit of a ghost town. Had a good chuckle at “Future… No perhaps not”! The stretch between Bootle main street and what you’d recognise as “famous” Liverpool contains the football grounds but is a ghost town. Would like to know what it was like at the time of the Beatles when the Docks were booming. Before my time in Liverpool, I’m afraid, but that area would have had a pub on every corner. Scotland Road was, I’m told, a (in)famous pub crawl. Yep, think a closed pub on every corner of Scotland Road now. Lot of housing, but desperately quiet. Mind, the mile out from Manchester Piccadilly isn’t any different these days, despite the £billion investment in East Manchester. My thirty year old Good Beer Guide includes one Bootle pub, the Strand on Strand Road with Higsons Mild and Bitter, an “Imposing pub with bustling lunch trade from what is left of Liverpool’s dock workers. Quiet in evening”. That’s a reminder of how great it was having not only a proper old local brewer but also jobs that didn’t involve waiting until the evening for a pint or few. Ten years ago that pub was probably closed at lunchtimes but still “Quiet in evening”. Now the premises have probably been converted to another use.